These are Sadie's 3 week old puppies. 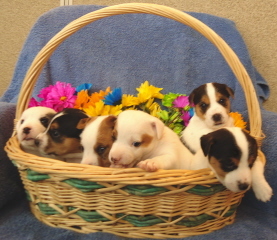 This is our idea of springtime at Caveman's Jack Russell Terriers. Comments for Springtime in Steamboat Springs! How gorgeous are they, such a lovely piccie too.